In front of the fantastic scenery of the Geisler group in the winter months in Eissack valley fabulous vacation days wait for you. 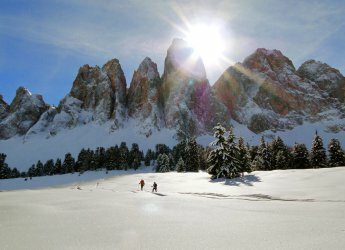 From exciting snowshoeing in Villnöss to the varied skiing in Brixen-Plose nothing is left to be desired in the cold season. From your holiday apartment at the Proihof farm you can enjoy the view of the snow-covered landscape in Eisack valley already in the morning for breakfast. 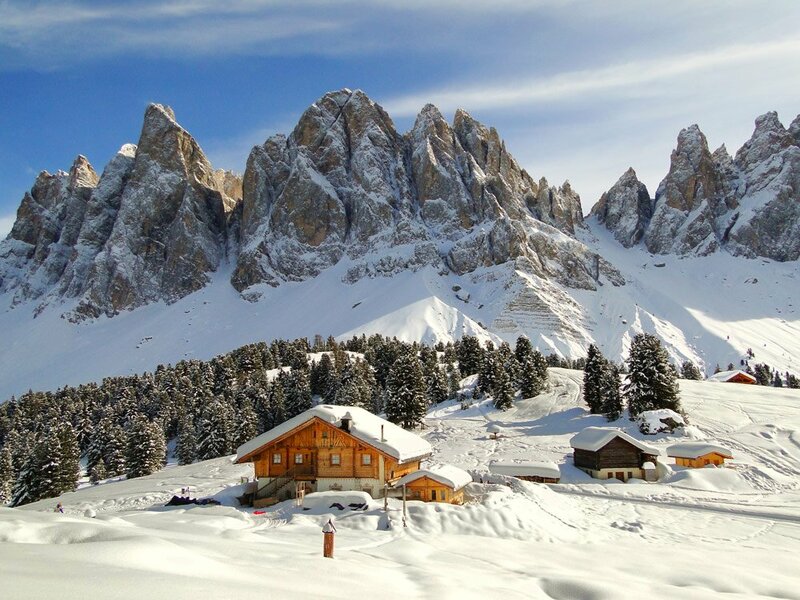 The sun bathes the more than 3,000 meters high peaks of the Geisler group in a bright light and the thrill of anticipation to eventful hours in the white powder rises up. Sledding, cross country skiing and hiking on cleared trails make your romantic winter holiday in Eisack valley varied and entertaining. Snowshoeing has been gaining an increasing popularity for a considerable time among holidaymakers of all ages. 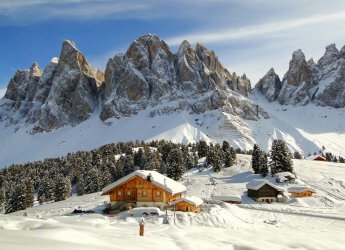 Do not miss this spectacle during your winter holidays in Eisack valley. Like trappers in Canada you move forward on the broad snowshoes through deep snow. Previous experience for this wintry pleasure is not necessary. After a few practice steps you are safe on the snowshoes. 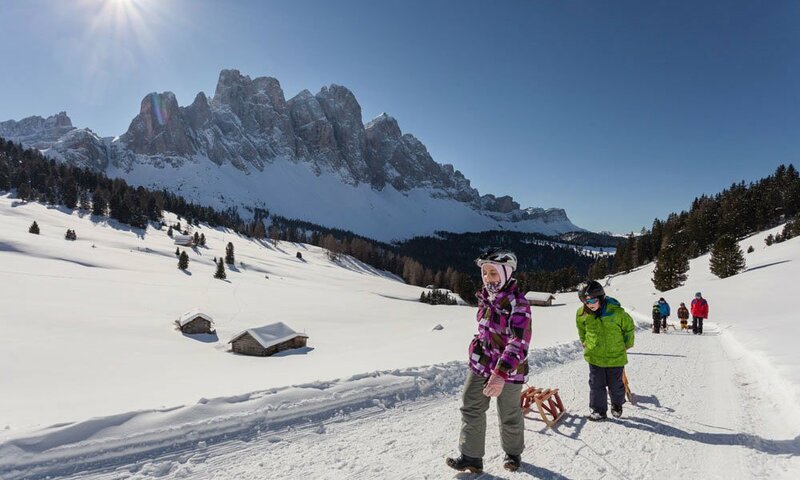 Besides guided ski tours snowshoe hikes are also offered in many places in Villnöss and Eisack valley under the guidance of experienced mountain guides. 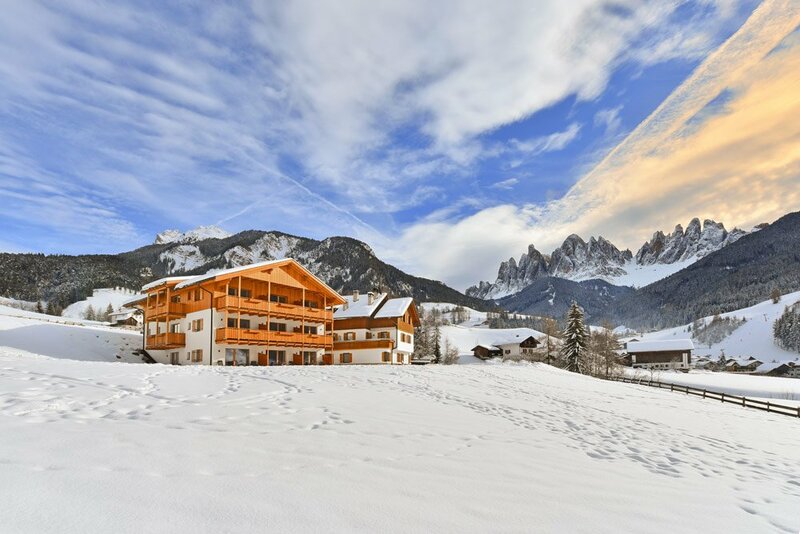 In the immediate vicinity of the Proihof farm you will find a small ski lift with a groomed slope. The shallow slope is ideal to complete the first winter drives. After that the Brixen-Plose ski resort attracts with a visit to its perfectly groomed slopes. 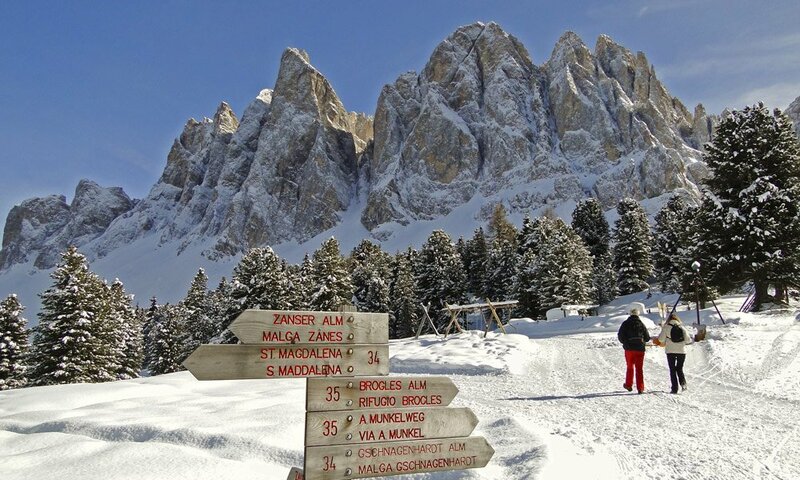 On a total of 40 kilometers of slopes, you will find the right routes for each claim. Sledding and ice skating represent a welcome change from the hustle and bustle on the ski slopes. Near the Proihof farm you will find an ice-skating rink and several toboggan runs. 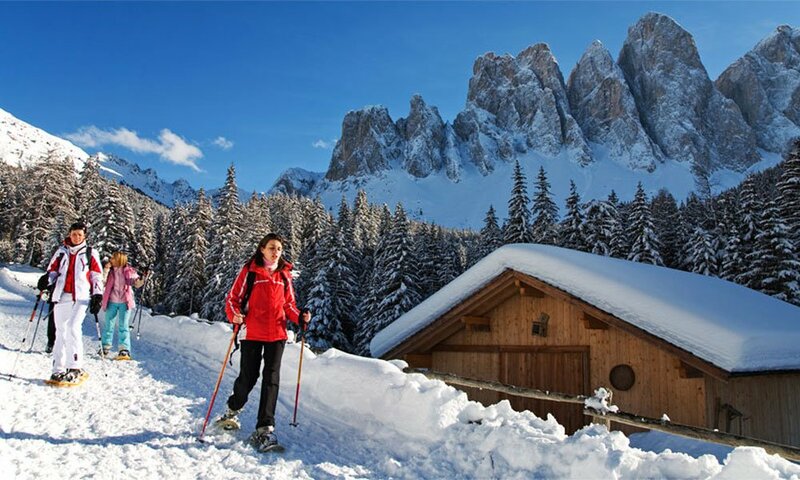 On the excellently groomed cross country skiing trails you will enjoy a high degree of relaxation during your winter holidays in Eisack valley.